And around in this circle I went for several minutes while I was laying in bed that morning. I had backed myself into a no-win corner. I just lay there, not knowing what to do next. Then I found an out. I told Grant that I could take care of a website build that was on the docket and just take another day off later. I was expecting him to look relieved that I would choose to work, then I could feel good about being the savior of the day! My heart was heavy. Because in that moment, I felt ridiculous. I realized… I forgot how to take a day off! I backed myself into a corner with my desire to paddle (and subsequent decision that it was impossible for me) and then tried to escape into work when the first opportunity presented itself. At that point I decided, it was to time to overcome my fear and head to the coast. For the next hour as I prepared to leave, my head and my heart were in a fight. My head wanted to play it safe and stay home and work, while my heart wanted to get to the coast and explore. Every minute that went by I had to force myself to keep going because I knew that I had to do this for myself. 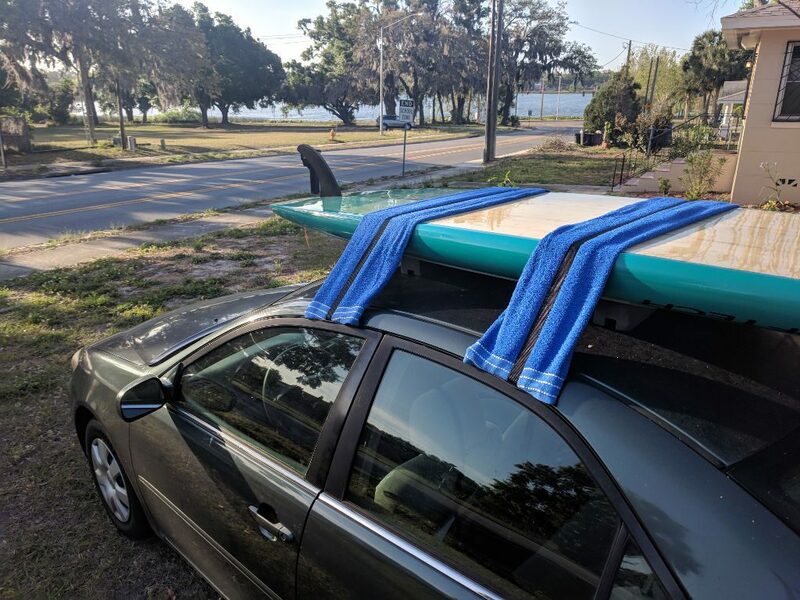 I bought towels to help me secure the board to the roof and probably looked pretty silly trying to strap that monster of a board into place. But I did it. I packed up the rest of the car and headed out. I made it to the SUP launch, unloaded the board and set out on my adventure. I pressed through my fears and unnecessary guilt and made it to the coast by myself. The minute I stood up on the board, I felt complete peace… and then I felt the wind. 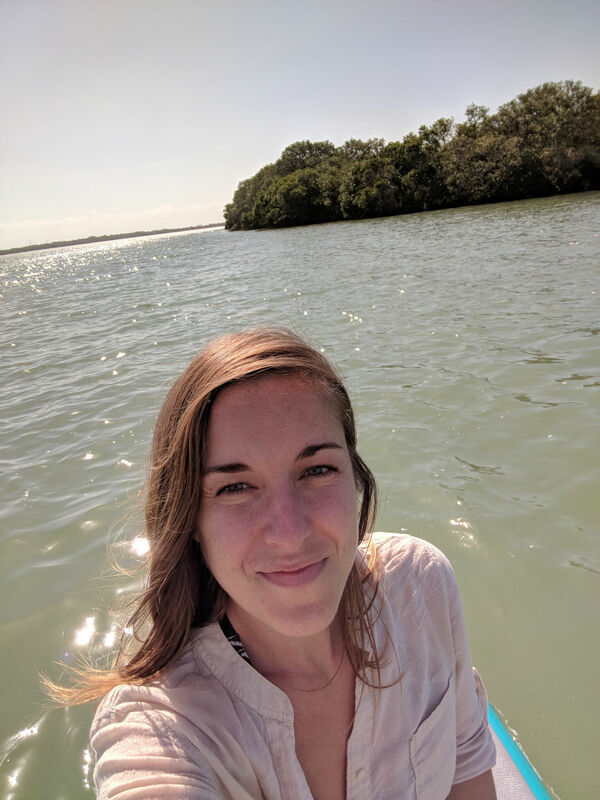 Apparently wind is a good thing to check before setting out on a paddling excursion 🙂 I paddled for about an hour against the wind (my workout for the week lol), then found a little remote beach to rest a while. I was able to swim, read, meditate, and watch families of dolphins as they glided by. It was perfection. My soul was filled. If you feel in your heart that you need to do something. Do it. Don’t shrink back and use others as an excuse for why you are unhappy or why you can’t pursue your passions. I’m sure I will have many more days where my head and my heart do battle. But I wanted to share this particular (seemingly ridiculous) internal struggle, because I have a feeling that there are more people out there that have silenced themselves. It takes consistent, small, internal victories to start to break that pattern in order to hear from yourself again. Stop wasting time. Start today! 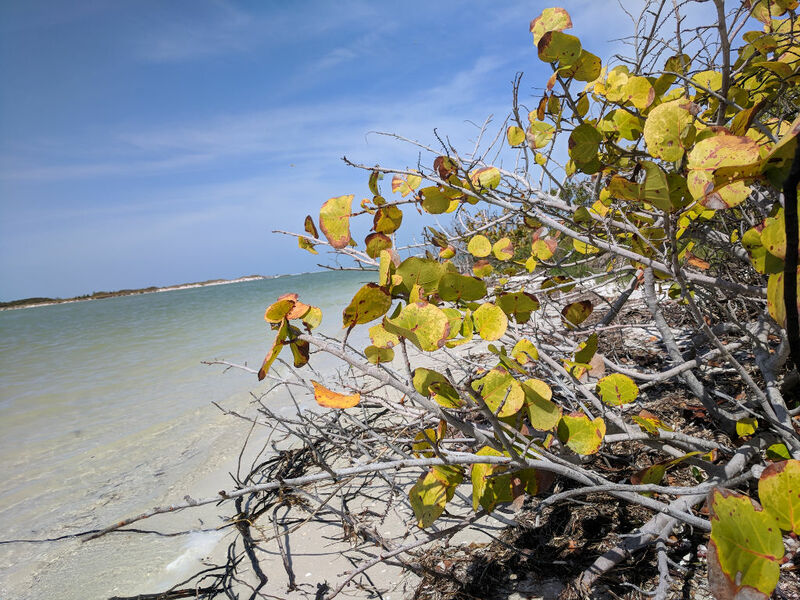 Learn more about Shell Key Preserve here. 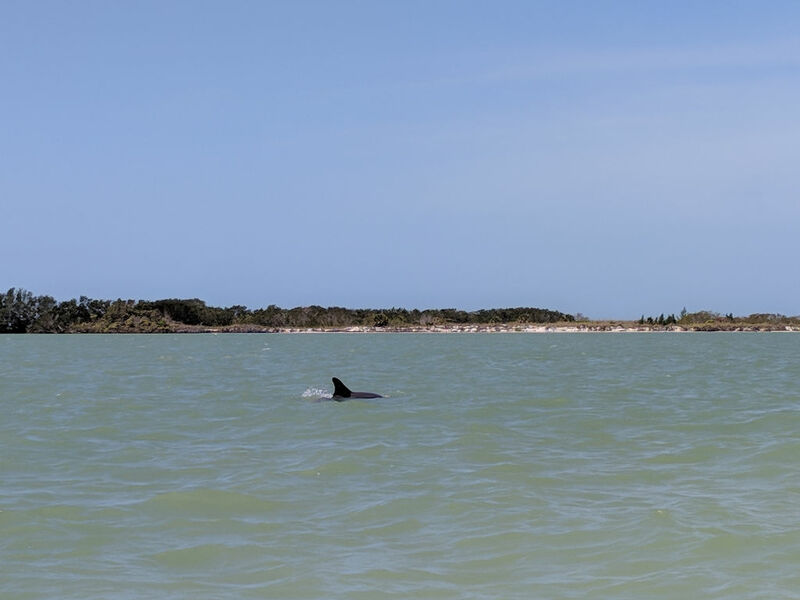 It’s a fantastic place to paddle and experience some Florida wildlife.